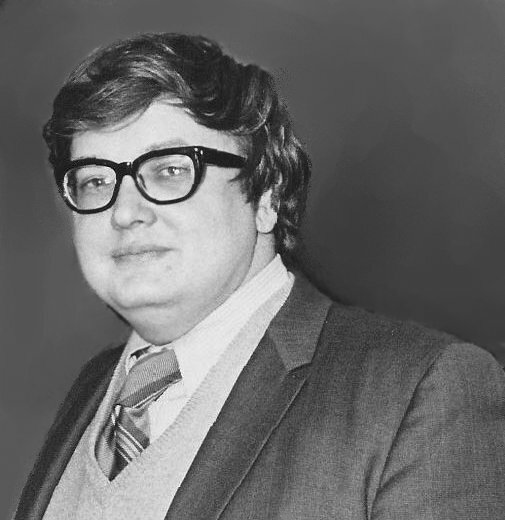 Roger Ebert, respected film critic for the Chicago Sun-Times and arguably the most popular and influential man in the history of his profession, passed away Thursday, April 4, 2013. He was also the greatest blogger the Internet has yet seen. Since this blog would be very different if I had never read him, it seems appropriate that I spare a few good words for a man who never ran out of them. My earliest memory of reading him—I mean really reading and being influenced by him—was just after I had seen Citizen Kane for the first time. I was in high school, and Orson Welles’ film had just shown me that movies could also be great art. After finishing my first viewing, I was in such awe that I immediately started it again from the beginning. Once the second viewing had finished, I ran to my computer and looked up Ebert’s Great Movies review. Welles’ greatness demanded exegesis, and Ebert delivered it. It was something of a revelatory time for me: I had never really thought of movies as art before. I had enjoyed movies greatly, but was only beginning to see them critically. And adding to this, the DVD of Citizen Kane included a commentary track by Roger Ebert himself, in which he explained in conversational tones, scene-by-scene, just what makes that movie so darn awesome. Movies “clicked” for me, then, much as literature had some years before. They were entertainment, yes, but they could also be meaningful art. For nearly every movie I see, new or old, I find myself looking to see if Ebert has reviewed it. Sometimes I read his review before seeing the movie, to gauge whether it is worth my time. Other times I see the movie first, and then run to read what his thoughts were. Often I would read his recommendation first, see the movie, then come back to reconsider what he said. You know a writer is special if you reread him, voluntarily, for both enrichment and enjoyment. What astonishes me is how much I love the use of 3-D in “Life of Pi.” I’ve never seen the medium better employed, not even in “Avatar,” and although I continue to have doubts about it in general, [director Ang] Lee never uses it for surprises or sensations, but only to deepen the film’s sense of places and events. Let me try to describe one point of view. The camera is placed in the sea, looking up at the lifeboat and beyond it. The surface of the sea is like the enchanted membrane upon which it floats. There is nothing in particular to define it; it is just … there. This is not a shot of a boat floating in the ocean. It is a shot of ocean, boat and sky as one glorious place. In that quote you might also note something else that appeals to me: the poetic prose he was capable of when the Muse of Cinema gripped him. Most critics use metaphors as a way to sound witty before their readers, or sometimes to hide the fact that they haven’t clearly thought through the part of the film they are commenting on. Ebert wasn’t bound to that; here he reaches for poetic phrases in his ecstasy to communicate the joy of his experience watching the movie. It was important to him that we readers to know how wonderfully the 3D is used in this movie. He knew that many of us would regard it as important. I sure do. I do believe this: that God works good even through those people who reject Him. It does honor to God to recognize this, and to honor those people through whom we have been blessed. By God’s grace, I have been blessed through Roger Ebert. Farewell, Roger. You never knew me, but I became your friend in the way a reader befriends the soul who writes to him. I prayed for you a lot over the years, and always wished you well. Indeed, I wished you a greater happiness than you would accept for yourself. We disagreed much, and agreed much, and I owe you a great debt when it comes to how to think, write, and enjoy movies intelligently. You enriched my life. I already miss you. I hardly expected to break my hiatus (unannounced, for which I beg your forgiveness and thank your patience) in such a somber manner. When work and projects pile up, they easily overwhelm me, and my time ends up divided between That Which Hath Deadlines Enforced By Others and That For Which I Need Thinketh Not At All. Things in-between, which have no deadlines but are enforced by myself on myself, but which yet ask of me thought and care and passion, such as this blog, sometimes then fall from the wagon of my workload. But not blogging leaves me unhappy, and I have long been directing myself towards a return. I have so much to say, and so much to read! And I have been reading, make no mistake. Novels, scholarly works, fairy tales, webcomics. Very many of your own blog posts. I’ve seen great movies and exciting television shows. My mind needs sharpening and my soul the nutrition of fellowship. I am ready to come back. Are you ready to read?